"This event discuss about the fresh fruits and vegetables." 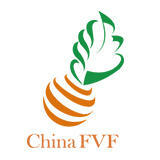 ChinaFVF 2018(China Inernational Fruit & Vegetable Fair),presented by the China Entry & Inspection and Quarantine Association (CIQA) and China Great Wall International Exhibiton Co.,Ltd.is the fresh industry's comprehensive annual trade show featuring the newest,most innovative fresh products on the market today. A new-product program enhancing the visibility of innovative products among trade visitors. Expand the new consuming concept. beijing city is a very good city every one needs to visit. Super rating of 5It was a great opportunity to meet the drivers of the Industry in China.Privilege to meet the AQSIQ delegation. The exhibitor of this event will showcase the following products and services, Fresh Produce, Fresh Fruits and Vegetables, Dried Fruits and Nuts, Chilled and Frozen Fruit and Vegetables, Canned and Preserved Fruit and Vegetables, Spices and Herbs, Organic Products, Seeds, Nursery Trees, Planting Technique, Plant Breeding, Variety Development, Cultivation Equipment Systems, Temperature Product Monitoring Systems, Pesticide, Garden Tools, Irrigation system, Green Houses, Temperature control devices and related equipment, Information System and Software Engineering, Fruit and Vegetable Processing Equipment and Materials, Packing Sorting Grading Machinery and Installations, Cleaning Systems, Package Materials, Labeling Systems, Barcoding, Weighing, Waxing device, Inspection and Logistics, Quality Control Services, Cooling Systems, refrigeration equipments, Customs Clearance Services, Transport and Logistical systems, Produce Handling and Storage, Recycling Systems, Waste Disposal Other, Sales Promotion, Computer and Internet Solutions, Market Research, Statistical Services, Consultancy Press, Media, Technical Services. Holiday Inn Express Beijing Don..